With Community PRO Video Chat Plugin for WordPress you can instantly increase member sign ups and retention. One to one, one to many and many to many public and private video chat. Create & join multiple public and private rooms. You can limit chat access - or some of the chat features - only to members from certain (premium) user roles thus encouraging visitors to sign up. The plugin pays for itself. It can generate real revenue from ads, memberships and affiliate links. AVChat - or just some of it’s features - can be configured to be available only to members with certain user roles thus encouraging regular members and visitors to subscribe to your paid membership plan. AVChat works on iPhones, iPads and Android devices directly from your website. The login screen is the 1st screen a mobile member will see. With the Community PRO Video Chat Plugin the username and gender options will already be filled with the members details. The text chat is the main screen of the mobile version. It allows you to chat in real time with other people connected via mobile or desktop. 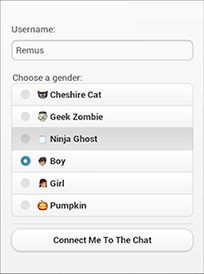 The users list shows you who is in chat, their gender, avatar, whether or not they have webcams and if they're on a desktop or mobile device. The Community PRO Video Chat Plugin ($49) integrates seamlessly with WordPress and BuddyPress and also supports Multisite setups. Members will have the same username in the website and in the video chat. 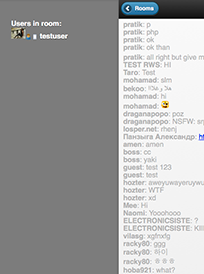 The profile photos from BudyPress are automatically used for the users list and text chat inside the video chat. Control more than 15 permissions - including chat access, video chat, private messages, room creation, file sharing - for each user role in particular. You can allow members from trusted user roles to moderate rooms, become invisible, kick, ban or view private messages and streams. All the important chat options are available in the WordPress backend where they're easy to access and configure. A multisite network is a collection of sites that all share the same WordPress installation. They can also share plugins and themes. The super admin can network activate Community PRO Video Chat Plugin for all the websites or he can activate it individually for each of the websites. We provide a free installation with every purchase. Email contact@avchat.net after purchase. We will need FTP and WordPress backend access. The code for the Community PRO Video Chat Plugin is licensed under GPL which means it's unencrypted and you can modify it and extend it to suit your needs. The Community PRO Video Chat Plugin for WordPress is one of our best plugins. 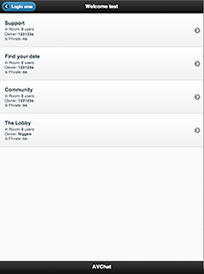 It has user role permissions, easy access to AVChat settings in the WordPress backend and easy to add ads to monetize. 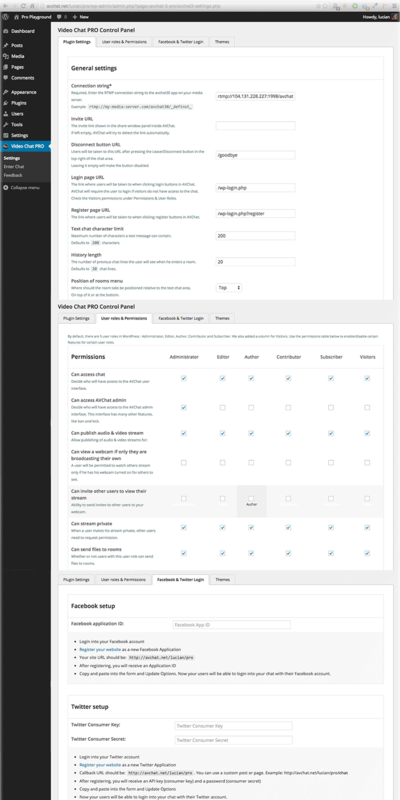 More than 100 websites have chosen AVChat 3 and the Community PRO Video Chat Plugin to improve their WordPress website. Purchase today for your WordPress website and start growing. The ideal plan for growing websites. The ideal plan for websites with more than 10.000 members. Yes, we provide a free installation with every purchase. Email contact@avchat.net after purchase. Can I upgrade my AVChat license later?